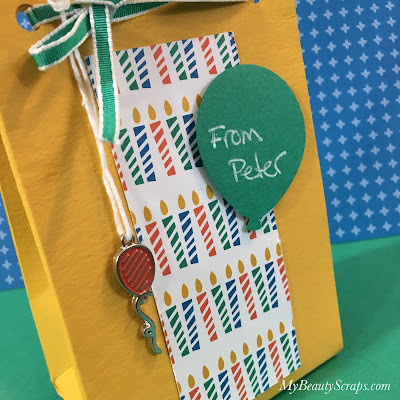 BeautyScraps: How To Make Easy Party Favors with Stampin' Up! 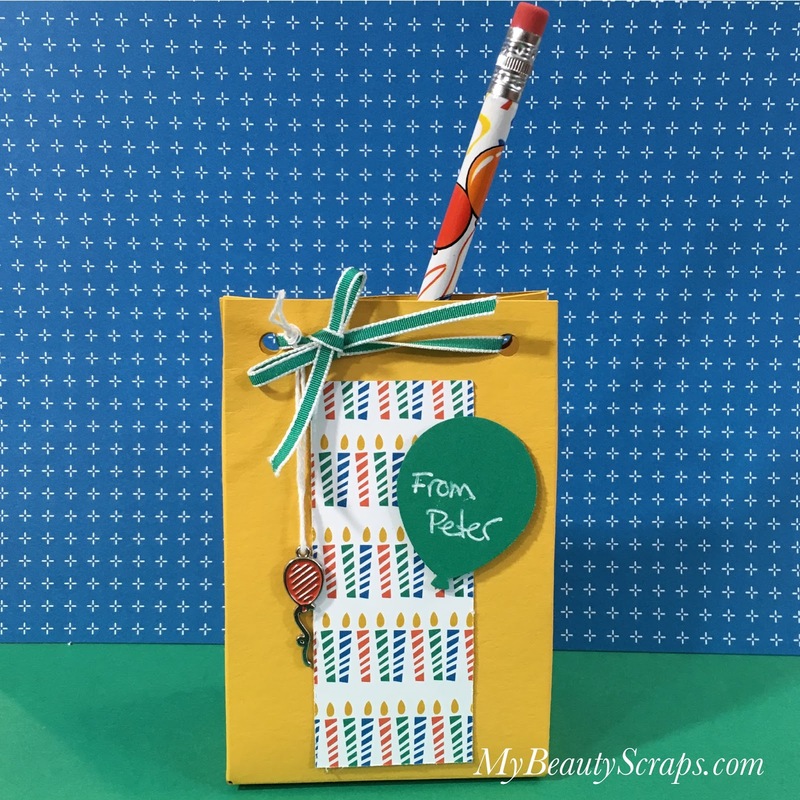 Gift Bag Punch Board & Party Animal Suite! 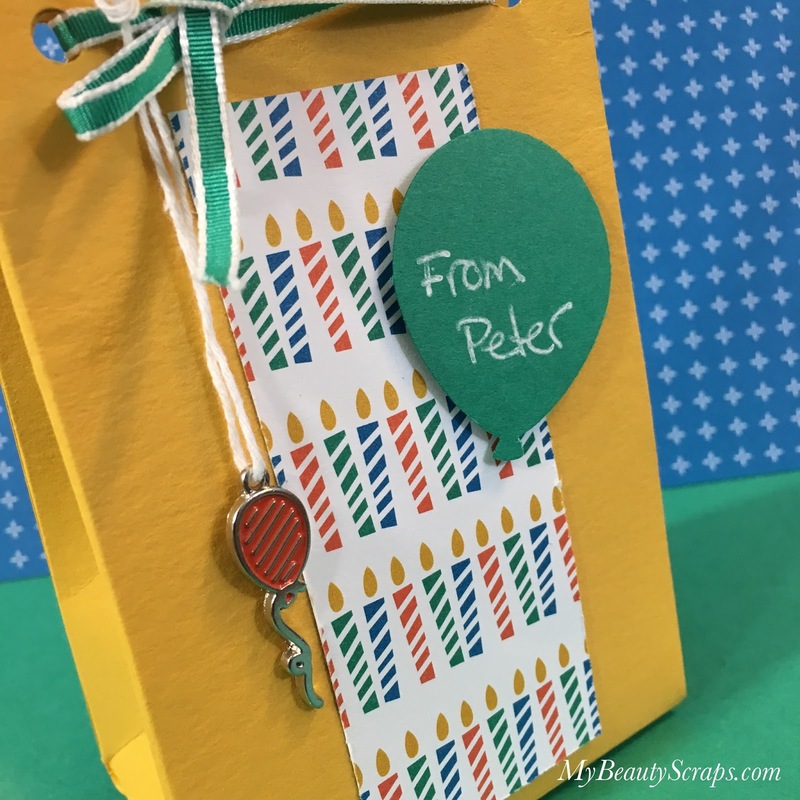 How To Make Easy Party Favors with Stampin' Up! 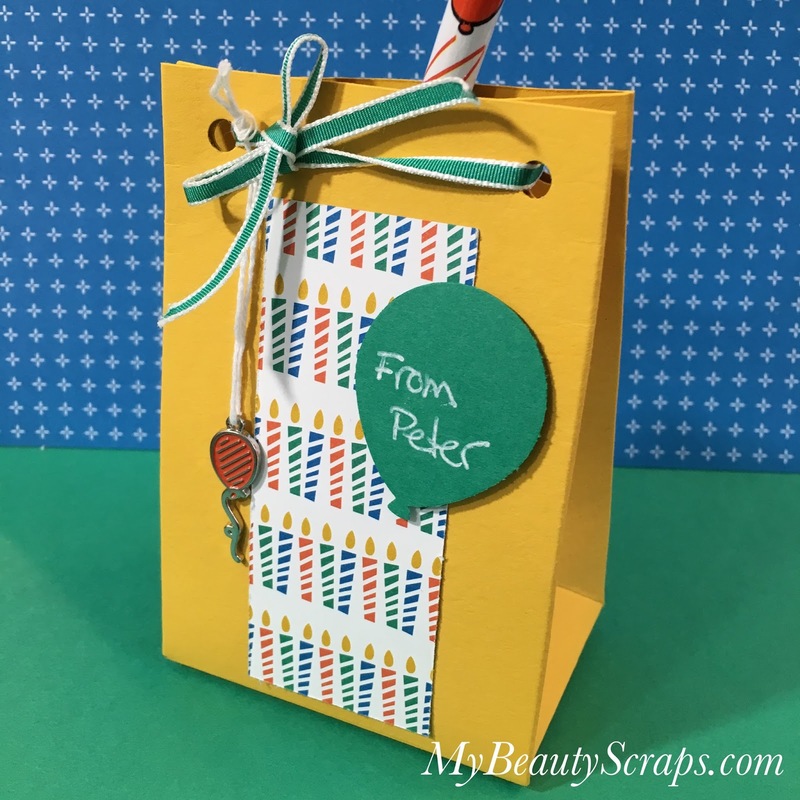 Gift Bag Punch Board & Party Animal Suite! I wanted to show you these cute little party favors that I made for my son's classmates at his daycare. We had a little birthday party for him and he was so excited to give his friends presents! Oh I can't believe he is 3 years old already! Time goes by so quickly! You can make 3 sizes of bags with the Stampin' Up! Gift Bag Punch Board, Small, Medium & Large. The sizes correspond to the width of the bag, but you can vary the height of all 3 bag sizes. The length of one side of your paper is going to determine the bags width. The Length of the other side of your paper is going to determine the bag's height. You can choose whatever height you would like! These are the measurements you need to start with to recreate this gift bag. If you start with a 6" x 11" piece of card stock and use the "M - Medium" guide on the Punch Board, the finished bag will measure 4 3/4" x 3 1/8"
They came out so cute and they were so quick & easy to make! In the video below I share how I made & decorated the bags. I admit, I was intimidated by the Gift Bag Punch Board at first. 3D items have never been my strong suit. But, it really is so easy to use! 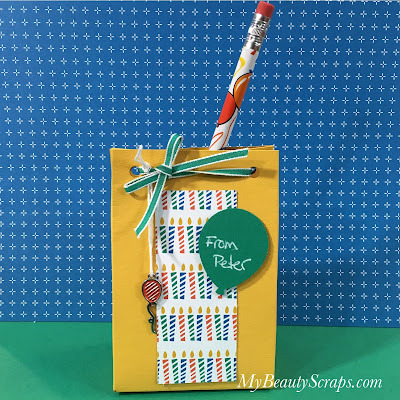 Everyone needs this Gift Bag Punch Board! Below is a list of all of the products that I used to create these gift bags party favors with links to my online store. 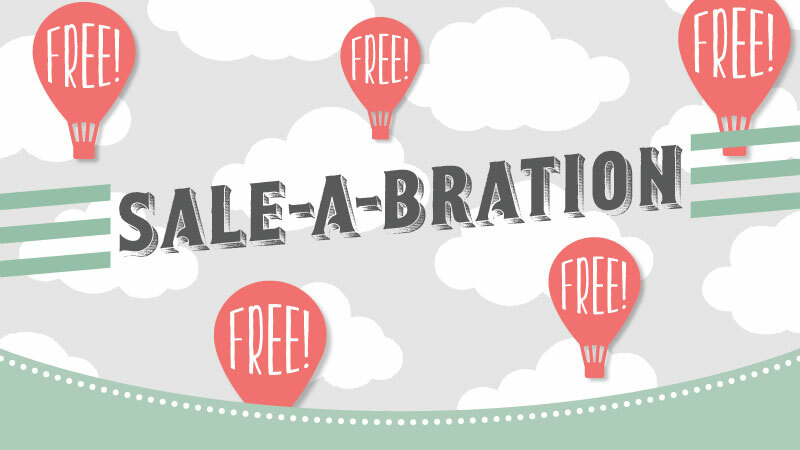 And remember, during Sale-A-Bration you can earn one Free item from the Sale-A-Bration Catalog for every $50 you spend before tax & shipping! I'm also giving away a Free Gift with your $50 purchase when you shop with me & enter Host Code: 3C6XXAWC for the whole month of February! Always check out my Sales & Specials page for current promotions & host codes! If you have any questions, or to request a Free Catalog please Contact Me! I'm alway happy to help!